March means the end of winter for many. It also means the start of peak rabbit season for those living in areas prone to being affected by them. Rabbits may look cute and they may recall famous rabbits in books and films, but the reality is different. No doubt you have heard the phrase breeding like rabbits. There is a reason why this has become part of our language. Rabbits are pregnant for just 30 days, giving birth to anything from two to eight kits at a time. With that kind of prowess at reproducing, it is easy to see why land can become overrun with rabbits in a short time. Yes, and they can do so very quickly. 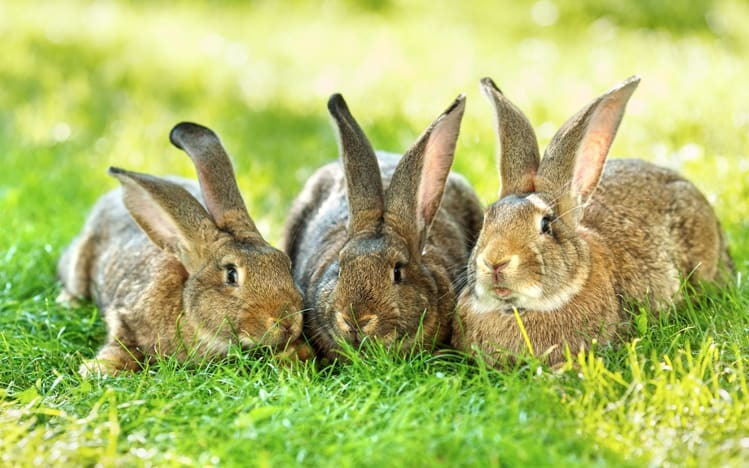 Regardless of whether you farm your land, or you simply have a garden you like to enjoy, the amount of damage caused by a burgeoning rabbit population can be significant. We’ve all seen one or two rabbits nibbling on grass or other shrubs. They look cute, don’t they? Multiply those two by several dozen or more and it is easy to see how damaging the effects can be. Controlling such a population becomes necessary if you want to regain control over your grounds, fields, or garden. However, most people are not willing or able to do this themselves. Calling in pest control experts to handle the situation is often the best and most appropriate solution. It means the problem can be resolved or managed without directly becoming involved yourself. How can rabbits be controlled? There are several legal means by which the problem can be handled. The law differs between Scotland and England, so it is necessary to be fully aware of what is required and how to remain within the law. Snares are often used but can only be set in place by those qualified to do so. This is another reason why it is advisable to contact the experts in humane rabbit control.